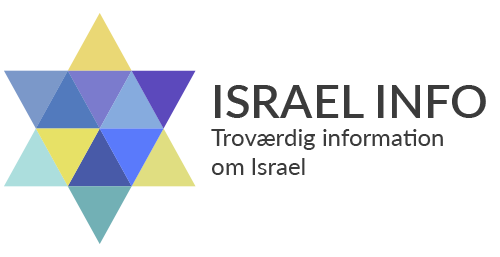 Fredsaftelen af 26. oktober 1994 underskrevet af Israels premierminister Yitzhak Rabin og af Jordans premierminister, Abdul Salam Majali – og bevidnet af USAs præsident, Bill Clinton. 3. The parties recognise the international boundary, as well as each other’s territory, territorial waters and airspace, as inviolable, and will respect and comply with them. a. Both Parties, acknowledging that mutual understanding and co-operation in security-related matters will form a significant part of their relations and will further enhance the security of the region, take upon themselves to base their security relations on mutual trust, advancement of joint interests and co- operation, and to aim towards a regional framework of partnership in peace. b. Towards that goal the Parties recognise the achievements of the European Community and European Union in the development of the Conference on Security and Co-operation in Europe (CSCE) and commit themselves to the creation, in the Middle East, of a CSCME (Conference on Security and Co-operation in the Middle East). 1. The obligations referred to in this Article are without prejudice to the inherent right of self-defence in accordance with the United Nations Charter. c. to take necessary and effective measures to ensure that acts or threats of belligerency, hostility, subversion or violence against the other Party do not originate from, and are not committed within, through or over their territory (hereinafter the term “territory” includes the airspace and territorial waters). 5. Any question as to the implementation of this Article will be dealt with through a mechanism of consultations which will include a liaison system, verification, supervision, and where necessary, other mechanisms, and higher level consultation. The details of the mechanism of consultations will be contained in an agreement to be concluded by the Parties within 3 months of the exchange of the instruments of ratification of this Treaty. 5. The implementation of both Parties’ undertakings under this Article is detailed in Annex II. d. to ensure mutual enjoyment by each other’s citizens of due process of law within their respective legal systems and before their courts. 3. The Parties consider the Strait of Tiran and the Gulf of Aqaba to be international waterways open to all nations for unimpeded and non-suspendable freedom of navigation and overflight. The Parties will respect each other’s right to navigation and overflight for access to either Party through the Strait of Tiran and the Gulf of Aqaba. The Parties will co-operate in matters relating to the environment, a sphere to which they attach great importance, including conservation of nature and prevention of pollution, as set forth in Annex IV . They will negotiate an agreement on the above, to be concluded not later than 6 months from the exchange of the instruments of ratification of this Treaty. The Parties will apply, in certain spheres, to be agreed upon, interim measures pending the conclusion of the relevant agreements in accordance with this Treaty, as stipulated in Annex V .